We all know the big brands, they’re here forever, but what about the smaller casinos that are providing very good things and handing out bonuses, but are struggling to get players because they’re less known? Don’t let that be the case and always be on the lookout for new online casino sites, especially if you’re coming from a region that isn’t normally accepted at big brands such as Australia or USA. For some, the alternative casino is playing at another region’s well-known casino, or playing at a casino that is just a side product attached to a well-known sportsbook. Some of casinos that fill that description are Bet365 Casino, wrongly overlooked by many who are looking for a dedicated casino. This is one of the best casinos out there, though with a strict restricted countries list. Many, again wrongly, ignore bitcoin casinos such as Cloudbet, this time for the reason of not really being sure how to deposit bitcoin or because of thinking it’s just some scam. Cloudbet is actually one of the finest casinos out there, bitcoin or not, and they’re offering the biggest deposit bonus we’ve ever seen. So it might be worth your while to put those prejudices aside, learn how to use bitcoin, and play at Cloudbet. Some, especially in Europe, tend to like the cleanliness of brands such as Bet365 which are regulated beyond all practical purposes, and look squeaky clean. Contrast to this are brands that cater to US players, which may be lagging in design, customer service, payment processing, and regulation. But that’s just how they appear on the outside. Actually, one of these is the best casino on the planet when it comes to board games payout, and that’s 5Dimes. It’s ugly, it hasn’t changed it’s design since the 90’s but it rocks. And here we have some brands that decided to still accept Australian players, such as MYB Casino, Rich Casino, PlayAmo, Fair Go or Joe Fortune. These are casinos that stretch the law, but a player shouldn’t worry about that, governments can be a pain. What matters is that the casino is providing the player with a good environment to play in, and that the casino is reliable when it comes to payments and dispute resolution. To find these casinos easily, without having to get burned to find out a casino is bad, you got sites like GamblersFever. Think outside the box and be willing to try out a new casino every now and then, even if it doesn’t fit your usual bill. It’s all just prejudice anyway, keep trying new casinos in different flavors and you’ll find a great one for yourself sooner or later. 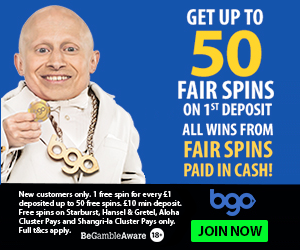 Plus, every time you sign up with a new casino you get a deposit bonus and some free spins. So it makes sense to be a journeyman gambler.